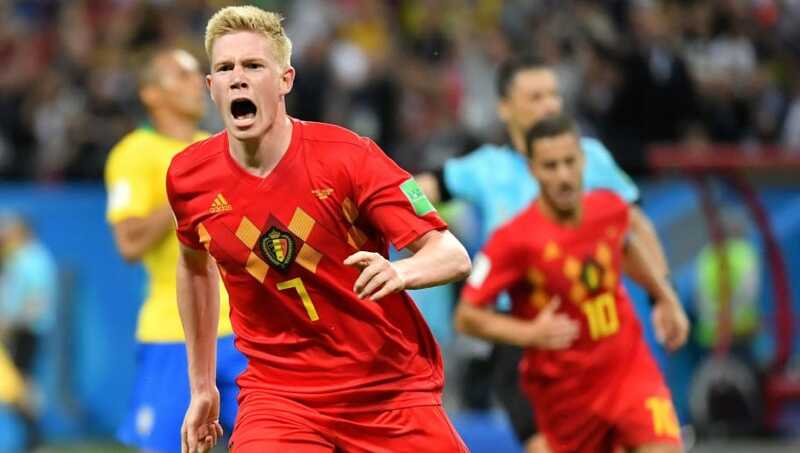 Kevin De Bruyne​ is confident Belgium's thrilling ​World Cup quarter final victory over Brazil showcased to the rest of the world what the Red Devils are truly capable of. The ​Manchester City playmaker starred at the Kazan Arena, where his stunning long range strike proved to be the difference as the ​Seleção fell to a 2-1 defeat after the 27-year-old's City teammate Fernandinho turned the ball into the back of his own net. "It is not easy to play against Brazil, they are such a wonderful team," De Bruyne told BBC Sport, via the ​Daily Mail. WHO DO YOU TAG IN? You need a lot of work. Tag again! Your tagging skills are strong, but there's still room for improvement. Your team wins a free-kick just outside the box. Who do you tag in to take it? Your team concede a pen in the last minute with the scores level. Who do you tag in? Every team needs a world class player. Who do you tag in? It's London fashion week and you have to look good! Who do you tag in? You've just scored on the biggest stage, The World Cup! Who do you tag in for the celebration?